Smallest machined cast base plunger clamp. 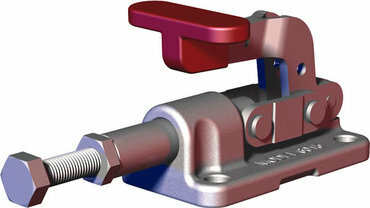 Locks over-center in both extended and retracted position, provided the handle is allowed to fall below the mounting plane. Now available with 1/4-20 UNC thread (model 6015-SS).